Our Managed Services will provide you with the exact level of support required to keep your critical communications systems running at their most cost effective and productive levels. A loss of your critical communications poses significant risks to your core business. We specialise in the management of these risks. With our proactive, outcomes-focused approach and comprehensive reporting we will provide your organisation with full visibility and absolute confidence. Based on the Information Technology Infrastructure Library best practice framework, we have built a service platform in which our quality, integrity and can do attitude provides the competitive advantage to our clients. Our team of local certified engineers and technicians will monitor, maintain and optimise your communications systems so you can get on with business. Software / firmware management ensures software and firmware updates are maintained to manufacturer’s specifications. 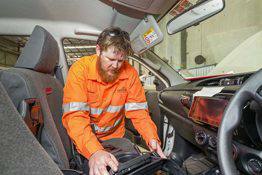 Radio tier repairs – fixed price plus parts. Radio capped repairs – agreed monthly price based on average repair turnover. As a Sepura accredited 1st and 2nd level Repair Centre for Australia and New Zealand, Radlink’s Service Centre is fully equipped, trained and certified to provide warranty repairs for Sepura. Radlink provides repair and diagnostic services for all leading brands and models, carrying a large stock of spare parts, new radios and accessories for all major brands. 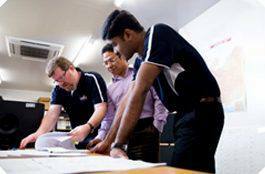 Planned maintenance tasks – technical staff carrying out PMI’s according to the client preventive maintenance plan. Corrective maintenance tasks – when incidents have been reported and there is a need to mobilise resources to investigate and resolve. With our comprehensive in-company radio experience, we can design a radio network solution for voice or data communications for any location or application. We use software modelling and real-world measurements to determine the range and reliability of any radio system we design, accurately. 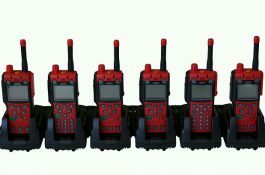 We also hire complete radio systems including base stations, trailer-mounted repeaters and transportable communications shelters as well as specialist intrinsically safe, two-way radio equipment for the construction industry, oil and gas, and mining projects. With over 7,000 radios in our fleet including the new TETRA ATEX radios with semi and full keypads, we can cater for any event, whatever its size. 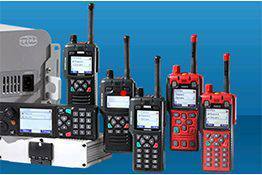 We hire intrinsically safe radios and accessories for shut downs and plant service requirements. Our radios are available for short or long-term hire and can be programmed to use either public or private communication channels. Talk to the team at Radlink today to get your rental underway. Our radio network experts and technical consultants can provide you with specialist, independent advice to meet your requirements and price range. 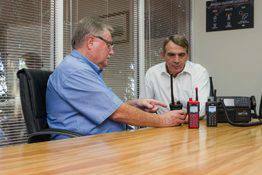 A crucial step in any project is training your staff to get the most out of your new radio system. 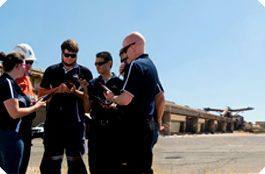 Allows your key personnel to train staff in the effective and correct use of their radios. 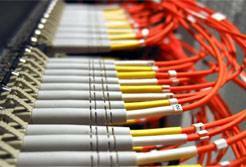 Provided as required to your technical personnel onsite who maintain system infrastructure or subscriber terminals. Provided to staff such as ESOs, security and any operation centre or pit controller as required. Your staff will receive a completion certificate at the end of their training; and we provide you with records of who has completed the courses. 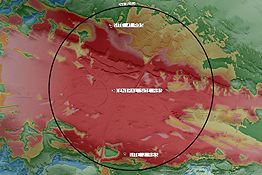 We use software modelling and real world measurements to accurately determine the range and reliability of any radio system design.